Immerse yourself in an adrenaline-pumping adventure using the latest laser technology with Bangkok’s first indoor sci-fi style laser shooting simulation game. Target and tag other players with your laser guns as you hide from opponents’ radars with exhilarating game modes setting the challenge. Move through our 500 sqm maze adventure on a fast-paced, strategic mission! Fun for all…whether you are 7 or 77! Excitement for families, teens and the young at heart. 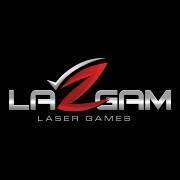 Be part of a winning team as you sharpen your individual laser skills in action-packed laser games.